Sometimes I just have to let go and see what happens. Our guest did not show, so I trusted my students and we just winged it for this episode, talking about our experiences, and about what we plan to do this year. This entry was posted in Podcast and tagged #dontrepost, Athletic Trainer, CPR, greater houston athletic trainer's society, Jeremy Jackson, SMB, Sports Medicine Broadcast, Sports Medicine Course, United Way of Greater Houston on September 20, 2013 by Host of The SMB. Planning a workshop for over 1,000 high school students and 200 Athletic trainers and sports medicine professionals is not easy. Catherine had a crash course and did a great job. Hear her feedbackand advise. A recent discovery in a Athletic Training room file cabinet at Dobie shows that they need to do some cleaning. 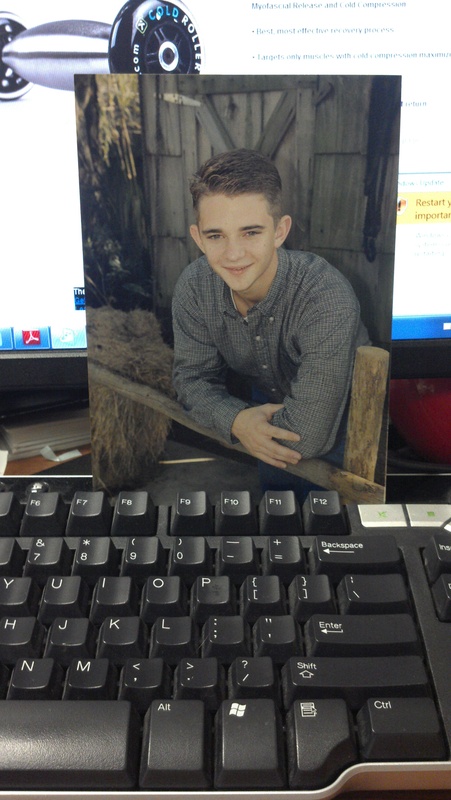 This is my senior picture from when i was a student Athletic Trainer…I graduated in 1999. This entry was posted in Podcast and tagged #dontrepost, Cat Lawrence, GHATS, greater houston athletic trainer's society, Jackson, Jeremy, Jeremy Jackson, Pasadena High School, Pasadena Independent School District, Pasadena isd, PISD, Podcast, SMB, Sports Medicine Broadcast, Sports Medicine Course on January 25, 2013 by Host of The SMB.